Love to see how our electricals will look in your own home before you buy? to get your FREE AR App. 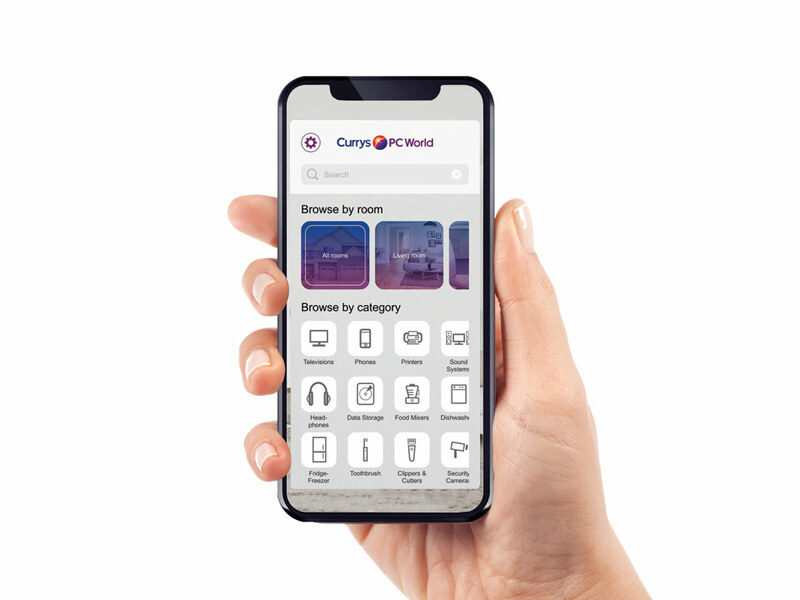 Powered by augmented reality, the Currys PC World Point&Place app is for you. It integrates 3D visuals of items you choose into your own living space, digitally recreated. And lets you share these visions with family and friends. To download and install the app for your device, tap the App Store or Google Play icon, above. To launch the app, simply tap the Point&Place icon on any product page. 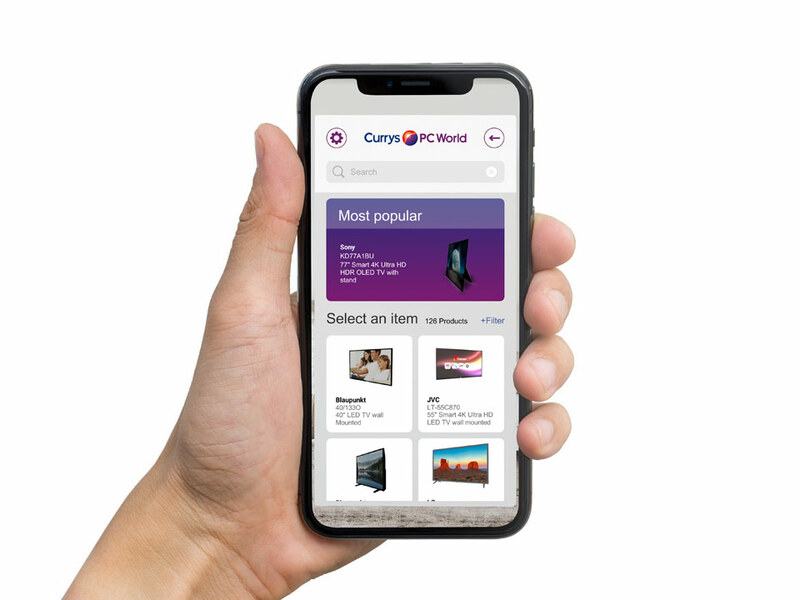 Any questions, please email curryspcworld@pointandplace.com or call us on +44 (0)203 757 0730. 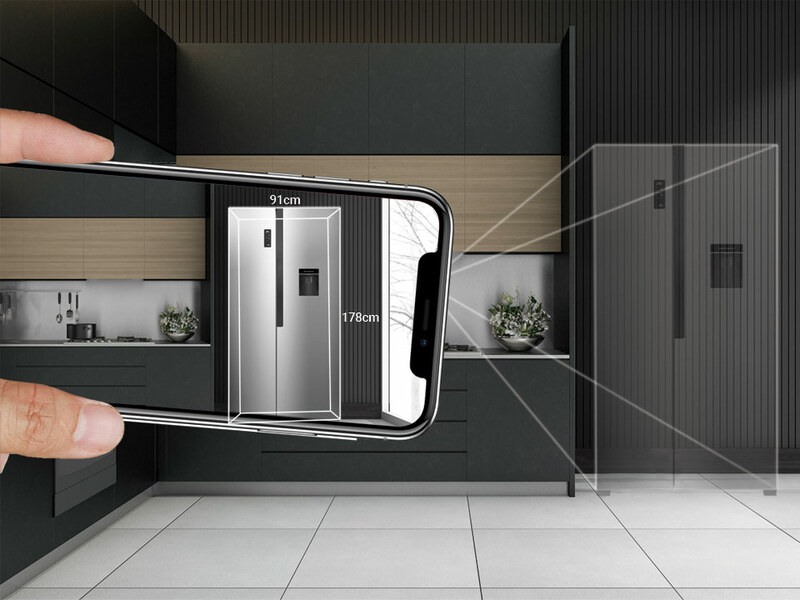 Thousands of the latest products for you to see in AR. 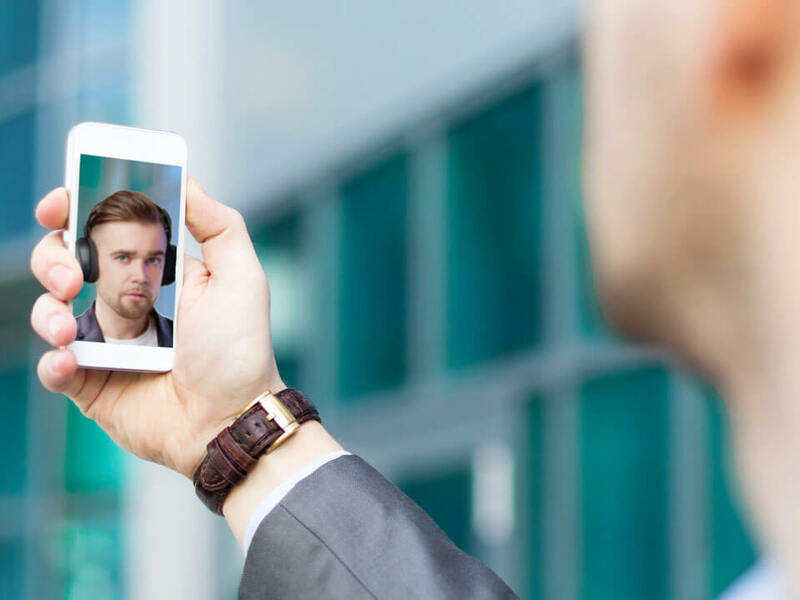 Fast track your education with fully dynamic and interactive AR experiences. Place headphones, sunglasses, hats on before you buy! Animated measurement overlays show you the product dimensions in your home. 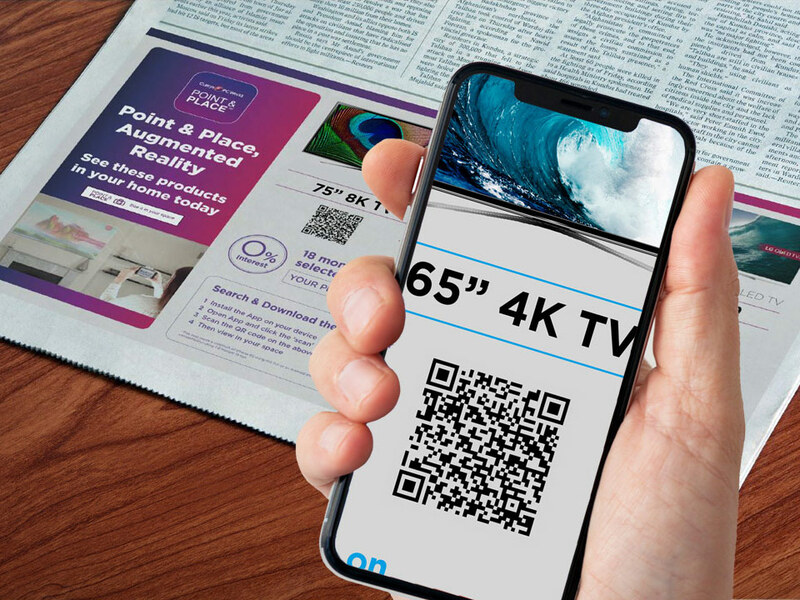 Look out for Point & Place QR codes in-store and in print to launch awesome AR experiences. Browse the full collection of AR products quickly and easily. 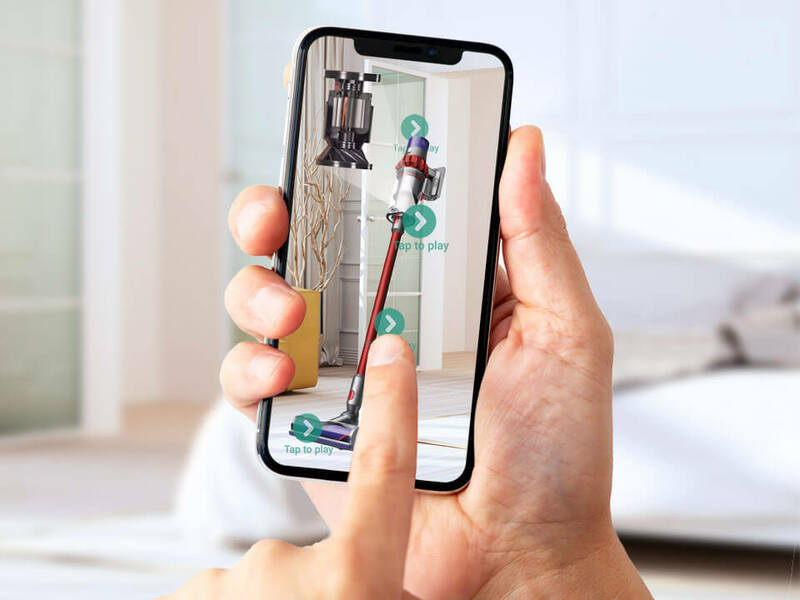 Once you have the App installed on your phone, all you do is click the Point & Place button on the product page and the AR App will launch automatically. Requires Android 7.0 Nougat Check compatibility. Point & Place is a registered trademark of EyeKandy Ltd.